Jollyworks Hosting Review 2019: Is Jollyworks Hosting a Good Hosting? Reliable, trusted, and friendly are some of the words you can use to describe Jollyworks Hosting. You can expect affordable rates and access to the latest technology and software when using their hosting services. Jollyworks Hosting is a Philippines-based company that was set up in 2009 and has since been providing affordable website hosting to its customers. It guarantees a 99% uptime, reliable website hosting, and professional and knowledgeable customer support to keep your websites live at all times. Jollyworls Hosting incorporates the cPanel control panel which is the best control panel to manage your websites, especially If you aren’t a technical person. You can manage all your domains, SEO tools, applications, files, and databases from the cPanel. In order to give you the best SEO services available, you receive the Attracta SEO tools free of cost. You can use these tools to improve your website’s ranking on search engines and hence get more visitors and ultimately more success. With the DDoS protection and free SSL certificates, you can also ensure safety for your own website as well as for its visitors. The Softaculous App Installer is a standard feature these days in most hosting accounts and at Jollyworks Hosting, it is no different. You have over three-hundred-and-fifty different scripts available that install with just a click. This is perfect for bloggers and small online shop owners who will find all the necessary scripts they need to run their websites. Last but not least, the Cloudflare allows you to secure your website and use the analytics to further help it achieve its potential. Jollyworks offers three different hosting plans and all are really cheap. And by cheap, I mean really cheap! Even with the cheapest package called Personal, you can host 15 domains, utilize 15GB of disk storage, 150GB bandwidth, 150 email account, databases, and FTP accounts! I must say the package looks as good as some of the best I have seen. 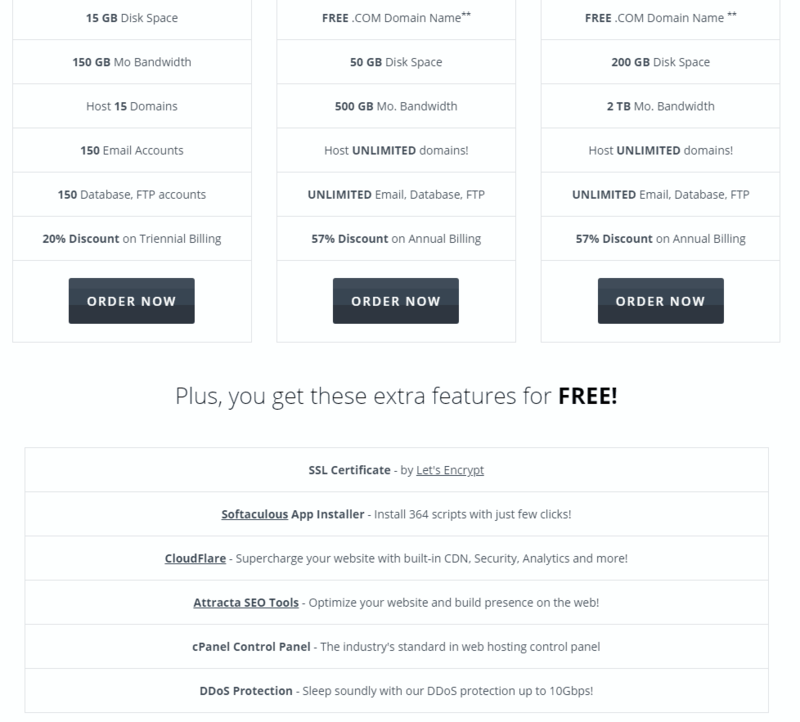 If you pay a little more, you can have unlimited domains, emails, databases and FTP accounts. As for the payment, you can pay monthly but there is a massive discount to be had on upfront yearly payments, which is what I highly recommend. The customer support for Jollyworks Hosting is present on the social media websites: Facebook, Twitter, and Instagram. You can also reach them through SMS or by creating a support ticket through their website. They call customer support their strength so you will get a timely response from them every time. In fact, within thirty-minutes according to their website. Judging by the positive feedback on their facebook page, I am inclined to think they must have a great customer service to keep so many customers happy. Add to that some affordable website hosting packages and they do look like a good deal. Wondering how Jollyworks Hosting stacks up against other Web Hosting companies? Enter any other Web Hosting company and we will give you a side-by-side comparison.